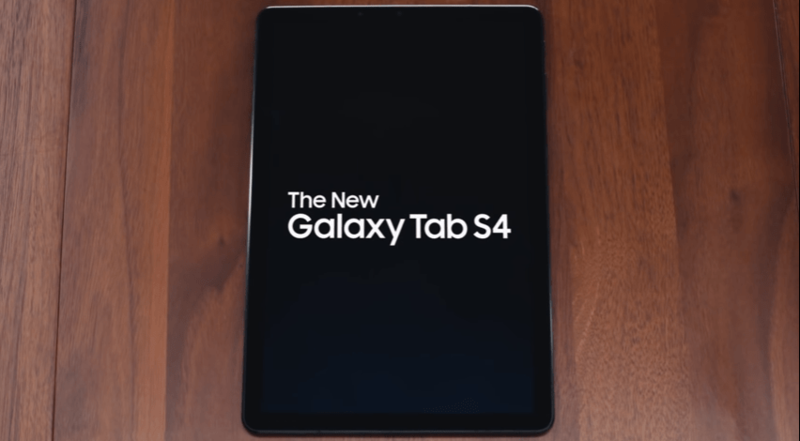 Samsung has officially unveiled its much-awaited Galaxy tab S4 expected to be released in the US on August 10th. As it is the follow up of Galaxy tab S3, rumor has it this one can beat iPad Pro at its game. The rumor is totally believable as Galaxy tab S3 gave a serious competition to iPad Pro. Samsung has significantly kicked its design up a notch; the home button is replaced with thinner blazers and gesture controls. This has provided the tab with ample space for the screen which is now 10.5 inch (0.8 inches wider than tab S3 which is massive). Integrated with Samsung’s Super AMOLED technology, it has a resolution of 2500×1600. Samsung’s major focus appears to be improving screen of the tab, even more, this time. Popular for its stunning display in the previous tab, Samsung has increased its pixels per inch. It’s looking better than iPad Pro so far because unlike Apple, tab S4 will have S Pen Stylus without costing you any extra money. Samsung claims that the new tab will have PC-level productivity and it seems to be true so far. The S4 tab is integrated with the desktop interface. Just like a desktop, a taskbar appears at the bottom of its screen. The top left alignment of the apps will give you a complete desktop feel. The tablet also supports Bluetooth muse control to enhance your experience. Up to 20 windows are supported via DeX mode which can easily be resized as you like. Moreover, the tab is a winner as it even gives you the liberty of pulling up apps while it is connected via HDMI to a larger screen without even affecting the output on the big screen. Amazing, right? You can even watch videos on YouTube while taking notes or making a PowerPoint presentation. Now, this is some next level technology. Feel like telling your tab to play your favorite song without even getting up from the couch to pick it up? Problem solved; your very own Galaxy tab S4 is equipped with far-field microphone technology. It is the same technology that is used in Google home and Amazon Echo smart speakers. ‘Alexa play God’s plan by Drake’ and there it is! Yes, the tab comes with a support for our all-time favorite; Google Assistant. So you won’t be stuck with Bixby (Samsung’s own personal assistant). Alexa (Google assistant) trumps Bixby because of its excellent voice recognition. We are extremely happy that Samsung has taken that into account. Say goodbye to finger sensors and welcome Iris scanning and facial unlock. Tech world’s much talked about feature; facial ID is all set to be launched in Galaxy tab S4. Iris scanning or facial ID, you choose how you want to unlock the device. For those who want to have a luxurious desktop experience using the tab, Samsung Book Cover keyboard is a perfect choice. It is basically a keyboard that comes attached with a cover that protects the tablet from the daily wear and tear. The keyboard connects to the tab via special POGO connection system. If you are planning to buy the tab first and the keyboard accessory sometime later, we suggest you give it a second thought. The accessory will cost you $149 if bought separately. But if you pre-order it with the tab now or sometime in September, you will get a 50% discount bringing the price down to$ 74.99. The tablet is already up for pre-orders and will officially be in the market on August 10th. The tablet is in two basic colors; black and white. The price starts at $649 for 64 GB and goes to $749 for 256 GB. Moreover, the price seems expensive for a tab but then again with a desktop interface and inclusion of DeX, it is still cheaper than most of the iPad Pros. Samsung Galaxy tab S4 is worth the money because of its amazing features like DeX and desktop interface. Unlike Apple, S Pen stylus comes free of charge. The pre-orders are up, what are you thinking?